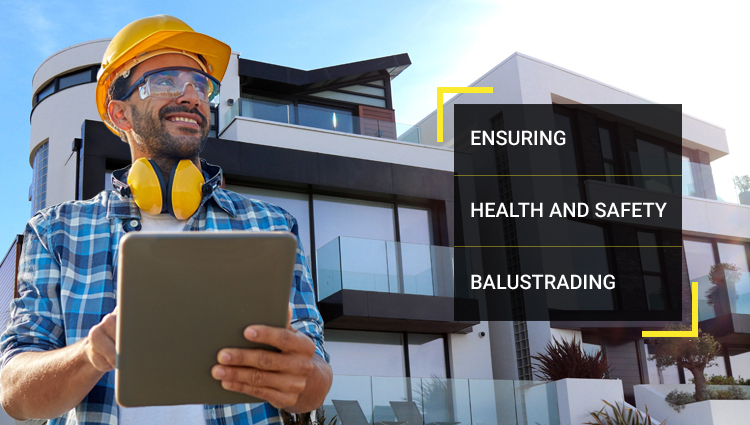 As a conscientious building contractor or business owner, it is your responsibility to make sure that everyone who passed under your roof is safeguarded against health hazard whether it directly affects them physically or as a result of an accident. Nu-Lite Balustrading offers a variety of products and services that ensure you are able to safeguard each and everyone who walks right through the doors of your building. Ensuring that they are safe and well under your roof is a social responsibility. Fortunately, as a contractor or a business owner, it is now easy to ensure safety with the help of technology and good old dedication. Nu-Lite Balustrading provides solutions that can increase your building’s safety rating, as well as decrease the risk of health hazards. Professional services available all across Melbourne, Nu-Lite Balustrading ensures that all Commercial Glazing Solutions are provided, installed, and serviced by licensed professionals only. To ensure optimum safety, AS Standards are met to the highest levels of workmanship. Combining the strength of stainless steel, the durability of aluminium and premium glass brings a winning combination of safety, strength, and beauty! Designed to meet the Australian Standards for Structural Design Actions, as well as Glass in Buildings Selection and Installation, you can be sure that structural safety is a priority to us. With 18 years of experience in balustrading, Nu-Lite provides home and commercial solutions. Safety glass is a necessity. However, Nu-Lite makes it even safer by toughening it up. This toughened safety glass is ideal for a variety of uses that not only ensures optimum safety but also increases your building or house’s aesthetic value. There are many stories that go rounds in newspapers and social media about mishaps involving people and glass. Faulty installations and sub-standard glass used in buildings are always mentioned as the culprits. With Nu-Lite, we only get good reviews from our long list of satisfied clients all over Melbourne. At Nu-Lite, cutting corners isn’t an option. We do not sacrifice quality and safety but rather make them our goal! Strength and elegance are synonymous with Nu-Lite Balustrading because of all the hard work and dedication that we put in. With more than 18 years of undisputed experience in the glazing and aluminium industry, Nu-Lite is proud if its professionalism and quality of service from the masters in the industry. We make it our business to ensure your safety at all times, so we put everything we have to meet product and workmanship standards.